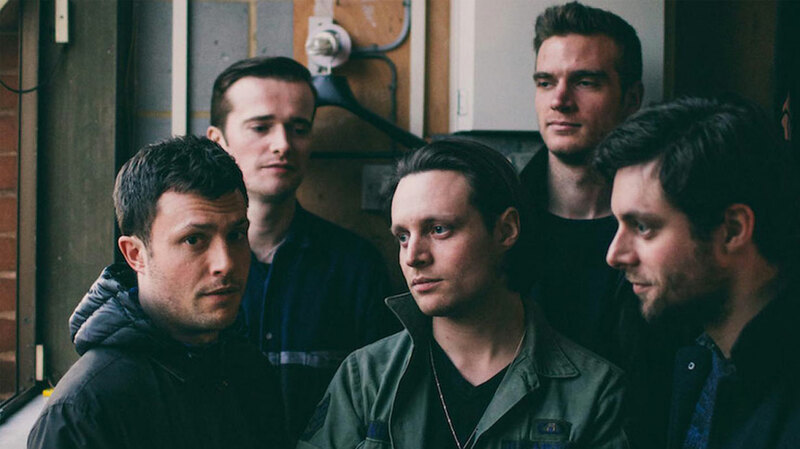 Following the success of 2012’s Given To The Wild, The Maccabees retreated to their South London studio with the aim of producing a follow-up in eight months. Three years on, it now transpires that things weren’t that straightforward. Here, frontman Orlando Weeks discusses the protracted creative process behind album number four, and explains how Elephant and Castle, Charles Dickens and Ian Dury’s producer all helped shape Marks To Prove It. Hi Orlando, how are you feeling about the impending album release? I’m excited, but not 10-year-old-on-Christmas-morning excited; I’m slightly numb to it I think. Weirdly, I think we’re better prepared for this [album release] than we have been in the past. I was nervous all through making this album but the run-up to it has felt less panicked, and with that it’s meant that it’s felt like it’s gone on forever. So, yeah, I’ll be glad when it’s finally out and there are no more loose ends. Marks To Prove It took longer to make than your previous records, right? Yeah. We started off thinking we were going to knock it out in about eight months, but when we got six months in I suddenly realised that we were making something that we weren’t going to be happy with. That took the wind out of our sails and we had to rebuild the record. I think our confidence was just a bit shot. When it’s just the five of you, you lose perspective. Is that a consequence of the success of Given To The Wild? Did you feel pressure, or were you impervious to other people’s expectations? Of course you’re aware of it, but at the same time I think the reason we’ve managed to stick together as a band is because we don’t want to repeat ourselves. And we haven’t, hopefully. We’re always trying to figure out how to make something that doesn’t repeat the last record, and yet that does something interesting and new for us. So what was your starting point for Marks To Prove It? The way that we work, we can’t really sit down and say, “Right, what are we doing? Ok, that’s the plan.” We have to exhaust every possible bloody option – fiddling around and scrapbooking and recording two years of rehearsal room – and then eventually something presents itself. In an interview with the NME, you described Marks To Prove It as a journey “of day into night and back into day again.” At what stage in the process did you realise that? When you were sequencing the album? When we started recording we realised that everything sounded better at night, and that started helping make our choices in terms of what songs we really wanted to finish. There were a few of those type-things that just gave us that little bit of structure towards the end of the process. And then, yeah you’re right, the sequencing definitely involved us trying to follow that kind of framework. What about the creative process did you approach differently to that of Given To The Wild? Well, more than anything, you don’t want to repeat the mistakes, obviously. But I think we felt like the first eight or nine months of writing that we were doing just sounded too lush. The last record was so lush and layered and grandiose and over the top, and as a result we could never really play it live – which was a shame – so we didn’t want to do that again. But we did think what was successful about [that record] was that it felt like it was of one place; it felt like it carried an atmosphere better than anything we’d done before. So we wanted to create that sense of atmosphere but without using walls of reverb, and 12 guitars layered, and my vocals triple tracked. We wanted to try to be really strict with ourselves and not fall back on those things that we had now started regarding as cheap tricks. Because once you’ve figured something out it feels slightly tainted, and using it is not fulfilling. This is the first album that you’ve recorded in your own studio, right? We did a bit of salvage work on the last record in this studio, but this is the first time that we’ve started and finished a record here, yeah. Can you tell us more about the set-up there, please? It’s just off the Elephant and Castle roundabout. We found it about five years ago and it was advertised as office space but by extraordinary luck it was built to be a studio, so all the sound insulation was built into it. We did some research later on and we found that it had been the Jesus and Mary Chain’s studio in the 80s, and probably some other people too, but not for 10 or 15 years. It was totally dilapidated with rat droppings and dead rats, and the only thing that was left was this piano which we then got serviced and fixed up, and it’s all over the record; it became a real character on the album. So yeah, that became home. It was a fantastic luxury but it also meant that it added a lot of time onto things, because you don’t have any time constrictions and you can stay there as late as you want. So suddenly – for a band that takes a very long time to decide anything – we now had another very good reason not to make any proper decisions. (Laughs) But we couldn’t have made this sort of record without it. We didn’t want it to sound like infinitesimal layered everything, with fake strings and drum machines. We wanted it to sound like a band in a room. And if we couldn’t achieve things with just the five of us then we would get someone to come in. So we’d get Polly [Mackey] or Rebekah [Raa] to come in and sing or play the piano; people that could actually play piano, rather than myself or Hugo or Felix that can write on a piano but can’t do it justice. So, yeah, it became a bit of a rule for us that if we couldn’t achieve it in [the studio], then it needed to be rethought, perhaps with different instruments. How did Laurie Latham fit into the process? He came in during the writing process, when we were basically trying to figure out if we had any music that was worth recording, or if we’d just wasted another eight months of writing. I think our confidence was just a bit shot. When it’s just the five of you, you lose perspective. Laurie came in and was just very honest about things: if he didn’t think it was good he said so, but he would also say, “Have you tried stripping that back to just whatever it was written on and starting again?” So he was crucial in just re-motivating us. Can we talk about some of the themes on the record, please? On ‘River Song’ and ‘Slow Sun’ there’s this recurring idea of growing older, but not necessarily getting any wiser. With ‘River Song’, I imagined a row between two people. I don’t know who they were but I remember thinking that it wasn’t aggressive, it was just really sad. It reminded me of friends that I’ve known who’ve made mistakes, and I’ve certainly made mistakes, so yeah. It is very nice to think that you don’t repeat your mistakes but, sadly, I think you probably do. Do you see any other themes connecting the tracks? I think the last record was me trying to be grand and I think that – with the visual references that I had when I was writing it – I wanted this to be very straightforward and uncomplicated. There’s a lyric in the song ‘Slow Sun’ about “ordinary drawing” and I think that was a big part of it. It can be entirely local and yet themes can elevate it, so there was still potential for sweeping, romantic statements without it being grand. Could you tell us more about your visual references, please? I’d read ‘Night Walks’ by Charles Dickens and that became a big sticking point. Obviously, that’s not how London is now at all, but there is still some relevance to it. London isn’t a terribly glamorous place, I don’t think, but it’s got an awful lot going on. 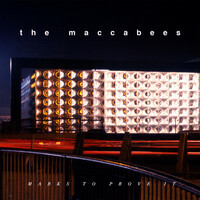 The influence of London extends into the album artwork too – it’s a photo of the Elephant and Castle roundabout, right? Yeah, I think Elephant and Castle became a crucial backdrop to things. Finding that photograph was a real relief because there was this thing that we’d walked past hundreds of times and then as soon as we’d seen it in this one photograph, suddenly it took on a very different relevance. I don’t know, [the photograph]’s sort of a mixture of Hollywood and something quite sinister somehow, and yet it’s just a roundabout in Elephant and Castle. I felt like it summed up the record. So what’s the plan for the rest of 2015, and beyond? It’s mostly touring, taking the record to as many people as possible. And that’s it. Right now, it’s very difficult to think beyond the record but I would love to eventually make something that I could put on that would provide the kind of comfort or companionship that my favourite records give me. But I have a feeling that that is part of the point of doing it – that that’s impossible. After 12 years together, what drives you still? I still love the initial moment where you’re trying to write something and suddenly it feels like an original idea. I think I’ve gotten better at recognising that, because when we were starting out I found it a lot more frustrating. Actually, having said that, I still find that very frustrating now but... You don’t get an awful lot of pay-off in the creative process, so you have to savour those little moments where you think you’ve made something from nothing. And an awful lot of the rest of it is trying not to lose the excitement of that moment.